NitroExpress.com: What are Australian Waterfowl Regulations Like? Guns/Loads? What are Australian Waterfowl Regulations Like? Guns/Loads? Can you guys use lead shot? How much waterfowling is done in Australia? Gauge size limits? Magazine capacity limits? I'll give you the situation in Queensland. 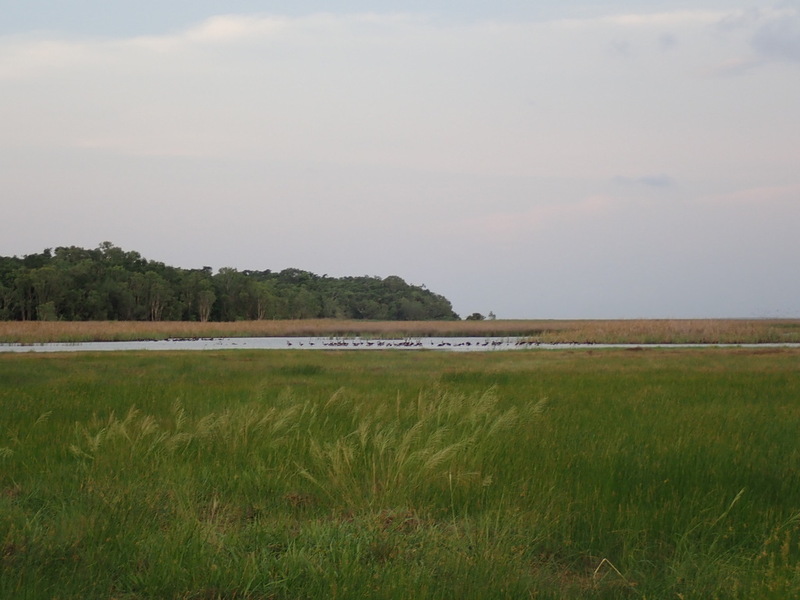 No duck or quail season on either private or public land. Actually no hunting on any public land. If we were allowed to hunt ducks? We wouldn't be allowed anything auto or pump. In Victoria we have a Duck and Quail season, steel shot for ducks and lead or steel for quail. Bag limits can vary according to conditions but if there are no drought conditions then it is 10 ducks per day on all shootable species except for Blue Winged Shovelers which are two per day, Quail are 20 per day for Stubble quail, no other quail species are shootable. South Australia has duck and quail shooting as does Tasmania, although both their seasons and restrictions vary with Victoria and each other. New South Wales has no duck or quail season however you can get a licence to shoot ducks and other birds over farmland where the farmer is having trouble with crop damage. There are specific numbers of birds that can be shot on each farm and this varies, however as there is no actual checking and it is more or less self regulated, people shoot as many as they want. Northern Territory has a goose season and I believe duck as well however I am not sure on that. Western Australia you can't do anything at all. NT has a very good waterfowl season usually 3 Months starts around mid Sept. Bag numbers vary with bird surveys earlier in the year. good seasons allow 9 per day and 10 ducks. 3 reserves available for public use . Harrison , lambels shoal bay / howardsprings. All provide good opportunities for birds. Shotguns up to 12 gauge and shot up to no2, from memory. Magazines up to 5 rounds. No pump action or semi auto shotguns. Requires a firearms licence and a duck and/or quail hunting permit. The duck permit requires the passing of a waterfowl ID permit . No lead shot for waterfowl. Steel or bismuth shot. The open season for Stubble Quail (Coturnix pectoralis) throughout the state will commence from sunrise on Saturday 16 February 2019 and conclude at sunset on Saturday 31 August 2019 between the daylight hours from sunrise to sunset. A total bag limit of fifteen (15) Stubble Quails in total per hunter per day applies. Quail hunting can only occur on private land with the written consent of the landholder. These reserves will be open from 15 minutes before sunrise on Saturday 16 March 2019 until 30 minutes after sunset on Sunday 30 June 2019. Bool Lagoon Game Reserves is CLOSED for the 2019 open season. The department may close a Reserve by posting a notice to that effect at any commonly used entrance to that Reserve, where it is in the interests of conservation to do so. Spatial exclusions exist within a number of South Australian Game Reserves. If hunting in Chowilla, Moorook, Loch Luna or Tolderol, refer to the information below. for safety reasons, all of the area within 500 m radius centred upon the Chowilla Homestead, shearing shed, Lock 6 on the River Murray, the Chowilla Creek Regulator and Coombool Outstation (homestead) including any portion of creeks or waterbodies within 500 m of these sites. View a map of Chowilla Game Reserve; indicating the areas where open season hunting can occur. the area of Tolderol Game Reserve being the land and water west of a line commencing at E 332052, N 6084977, south to E 332014, N 6083738. View a map of Tolderol Game Reserve indicating the areas where open season hunting can occur. Please contact the Natural Resources Centre - Murray Bridge for more information to ensure hunting only occurs in permitted areas. Duck hunting – Anyone can be a duck hunter. The hunting of wild ducks in this country is highly regulated so it’s only proper that we start with all of the paperwork associated with duck hunting. Obviously you will need a firearm licence, next comes the sitting of the WIT (Wildlife Identification Test). This is to ensure that you can correctly identify legal and, more importantly, protected species of ducks and other birdlife encountered on the wetlands while pursuing ducks. If you are unsure of how to go about sitting this test, approach your local branch of the SSAA for advice. Finally, you will need a game licence if required under state regulations, which can be obtained from your state’s wildlife department. Only South Australia, Victoria, Northern Territory, Western Australia and Tasmania have duck open seasons. New South Wales has a Game Bird Management Program that allows ducks to be hunted for crop protection. Choosing the right clothing is quite important. We are hunting ducks during the hotter part of the year and diseases like encephalitis and Ross River fever, to name a couple of the nastier ones, usually dictate the wearing of long-sleeved shirts and long trousers. Dark coloured clothing is essential - camouflage clothing is a good choice. A wide-brimmed hat is excellent for protection from the sun and will hide that shiny white face from any passing ducks if you happen to look skywards at the wrong time. Waders are also common practice and can make a hunt much more comfortable on cold days. You should always be careful in regards to the depth of the water and texture of the surface of the ground though. If you are lucky enough to have a well trained canine companion then you may avoid getting wet altogether. The under and over shotgun is top dog, but the old side-by-side still has a strong following with traditionalists. The choice of chokes however has always been a bone of contention among shooters and many wrongly choose full-choke guns. While excellent for taking passing ducks out to 50 metres, there are not many duck hunters who can continually down ducks at that range. With more and more hunters turning to hunting over decoys, along with the use of steel shot, more open chokes are commonly used. If you are starting out from scratch, approach a reputable firearm dealer and explain that you will be duck hunting - as the firearm needs to be suitable for steel shot. Luckily most shotguns come with a multiple choice of chokes. It would be a good idea to take your gun to the local gun range and test pattern it to see which chokes best suit the use of steel shot, and how dense a pattern it throws. You will probably be surprised at the results. Since duck shooting requires hunters use steel shot it is quite rare to find anyone who reloads. When changing from the lead shot which you typically use for clay targets to steel shot for ducks, it is recommended that you go up two sizes in steel to roughly equal lead. 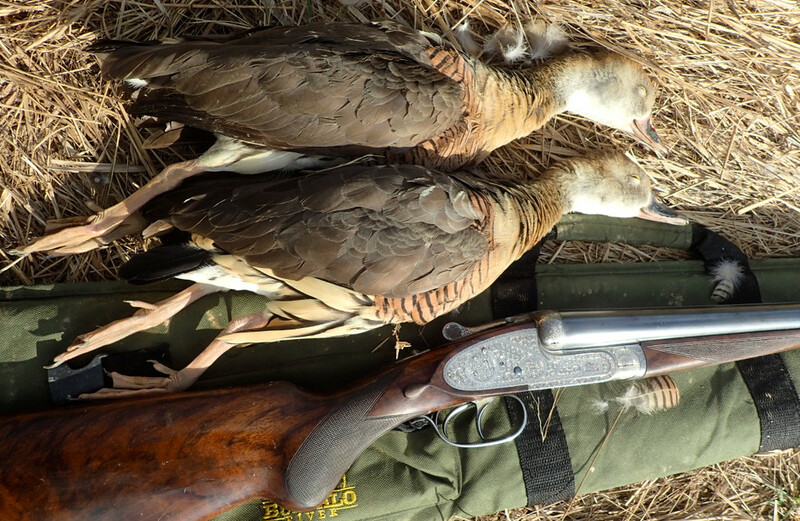 A No 2 and No 4 shot in steel is quite common among hunters, as is the use of more open chokes. The best way to find out what size steel shot suits your shotgun is to acquire different brands and shot size and take them to your gun club to have them checked on a pattern board. The construction of a blind is an important part of hunting ducks. They are very alert birds and can quickly spot a trap, so a blind is really a necessity. When building a blind, it needs to blend in as closely as possible to the surrounding cover to make it as natural as possible. It is not advisable to start chopping branches off nearby trees. In some states it is a condition of the hunting permit to not, for the purpose of hunting, cut down, lop branches from or otherwise destroy or damage any tree (whether living or dead). During the last couple of seasons I have been using a military camouflage net. Mine is ten metres by three metres and can be draped over downed timber or propped up with tent poles. These nets are just about perfect and not too expensive to buy. If you are a bit strapped for cash, and who isn’t from time to time, a suitable blind can be made from ground cover and dead branches. Just remember to make it large enough to be comfortable. Always disassemble it when you have finished, taking with you empty shells and pieces of loose rope or string as these tend to become lodged or tangled in animals when they come to drink. The number of decoys you will need depends mainly on where you are shooting. If you are hunting over a small backwater, you will not need many at all. You can probably get away with six decoys. You will need more if you plan to hunt on a big expanse of water. We use about 50, but I am not suggesting that you race out and buy a great heap of decoys. The accumulation of decoys takes a number of years; buy half a dozen or so each year. There are a variety of well made decoys on the market and you can get many years of service out of them. When setting out your decoys don’t have them too far away from your blind and have it look as realistic as possible. Mix them up a little and have them facing in different directions. You are trying to get across that your decoy spread is a safe haven for any passing ducks. Leave plenty of room among your decoys for incoming ducks, otherwise they will pass over and pitch in further down. Most of my decoying is done on calm water and I prefer to use the ‘V’ pattern. As ducks land into the wind I have the ‘V’ leading into my blind. Other patterns are the dotted ‘I’ and the fish hook pattern, but they take a bit of setting up. It is often bandied about that if you can’t blow a duck call properly then don’t blow it at all, for nothing alerts incoming ducks more than a poor rendition. There are a number of calls that the budding duck hunter needs to know and when used correctly will greatly enhance your chances of a full bag. Different calls will work different ways in certain areas. If your long-distance call worked and the ducks have turned and are coming your way, use the chatter call when they are about 100 metres away. The chatter call is a series of low, quick-sounding quacks. If this call works, the ducks will cup their wings and begin descending. If they look as though they are hell-bent on landing among your decoys, make yourself ready to take a shot. Quite often, and especially on opening morning, your spread of decoys may not be the first lot a mob of ducks have dropped into - they may be nervous. Usually if this is the case the ducks will pass overhead, just out of range, to suss things out. When they look as though they aren’t interested, they will often turn and come back over your spread again, this time they will be a bit lower. If you choose to do any calling at this time, it is advisable not to look up at the ducks as they will spot you every time. Old hands will tell you there is no need to look up at this crucial moment, just listen to the whistle of the wing beats. A mob of ducks may do this a few times, each time getting lower and lower, then if they are satisfied that all is well, they will cup their wings, lower their landing gear and come cruising in. If, however, they smell a rat and start flying off, you can try the ‘come back’ call which is a series of high, slow-blown quacks. Some of the better brands of duck calls come with instructions or YouTube tutorials on how to blow the different types of calls associated with successful duck calling. It is advisable to study the method of calling. It is then a case of practise, practise and more practise until you have it right. Ducks are very sharp-eyed and very greedy, so put a bit of movement in your decoy spread to arrest the attention of passing ducks. A teaser board (or bottle) is well worth the trouble of setting up. The floating board is stationed above a stake or peg which has an eyelet attached to it. This allows a piece of cord to pass from the bottom of the teaser, through the peg and back to the blind. When you see the ducks coming towards your decoys, pull on the cord, this in turn will make the teaser board bob about, putting heaps of ripples among your decoys. There is nothing a passing duck likes to see more than a mob of ducks happily feeding away. If you have a mob of ducks dropping into your decoys from in front of your blind, wait till the very last moment, then stand up with your gun coming to your shoulder. Your sudden movement will be undoubtedly spotted by the incoming ducks and they will bank sharply, with wings flared, thus presenting you with the decoyer’s preferred shot. When shooting at passing ducks, always remember to give them a lot of lead and shoot at the back of the mob. This will allow you to follow through onto another duck if the first one has folded. Don’t squabble over ducks. Sometimes, especially when shooting on big swamps, more than one hunter will fire at a duck. There is nothing more childish than two grown men fighting over a dead duck. The simple solution is to walk away and go back to hunting. Always give other hunters enough room to hunt, especially if they are using decoys. If it seems another person is hunting successfully and you are not firing a shot, break your gun and ask if you can join him/her. Most duck hunters enjoy the company of other like-minded hunters. The only time a duck should be shot on the water is when a wounded duck has to be humanely dispatched. The shot should only be taken when it is safe to do so. Duck hunting is a challenging pastime and once you have experienced it, it will get in your blood and you will never tire of it. The beautiful smell of the wetlands, the sound of the whistling wings of passing ducks - to a duck hunter, that is the elixir of life. Hunting in Australia is regulated separately by each state and territory government. This has lead to a variety of different regulations and laws as well as different fees, charges and licence requirements. The following information provides a snapshot of what’s required to hunt in each state of Australia. Hunting is limited to feral animals on private property with landowners’ permission to hunt on the property. The ACT doesn’t have any species currently classified as game that can be taken by recreational hunters. Only a current firearms licence is required to hunt on private property. There is no hunting permit or fee applicable. Juniors between the age of 12 and 18 years can apply for a minors firearm permit. The following animals are some of the species classified as feral and can be taken. There are great recreational and commercial hunting opportunities in New South Wales, with laws that allow the hunting of game, native and non-protected species, as well as hunting access on a variety of public lands. There are several different legislations in NSW administered by separate government agencies that govern recreational and commercial hunting. The appropriate licences, permits and regulations for your intended target species will depend on what animal is being hunted, where it is hunted and for what purpose it is hunted. The information provided below is designed to give you an overview of these licences, permits and regulations. However, hunters should always confirm the provided information is current from the appropriate government agency before any hunting takes place. The NSW Department of Primary Industries Game Licensing Unit (DPI GLU) oversees and issues licences for the hunting of declared game species. Game species in NSW are split into two separate categories. Category 1 game species include all wild deer and some game birds. These species require a licence to hunt whether on private or declared public lands. Category 2 game animals include a number of animals commonly referred to as ‘feral’ animals including feral pigs, feral goats, wild dogs, feral cats, rabbits, foxes, hares and several game birds. These species do not require licences for hunting on private land, but may be hunted on declared public hunting lands with an appropriate licence. In NSW, there are 350 state forests declared as public hunting lands. Persons wishing to hunt in state forests require a Restricted Game Hunting Licence (R-Licence) and written permission issued by the DPI GLU. The NSW National Parks and Wildlife Service (NPWS) oversees and issues licences for the hunting of native animals (such as kangaroos) and native waterfowl (through the Game Bird Management Program) and hunting on national parks estate. Native animals can only be hunted in NSW under a licence issued by the NPWS. Licences for hunting of native species are only issued under certain circumstances where harvesting is required, such as permits to cull kangaroos that are affecting agricultural activities. Recreational hunters can apply for appropriate licences to assist landowners who have been issued with an Occupiers Licence. 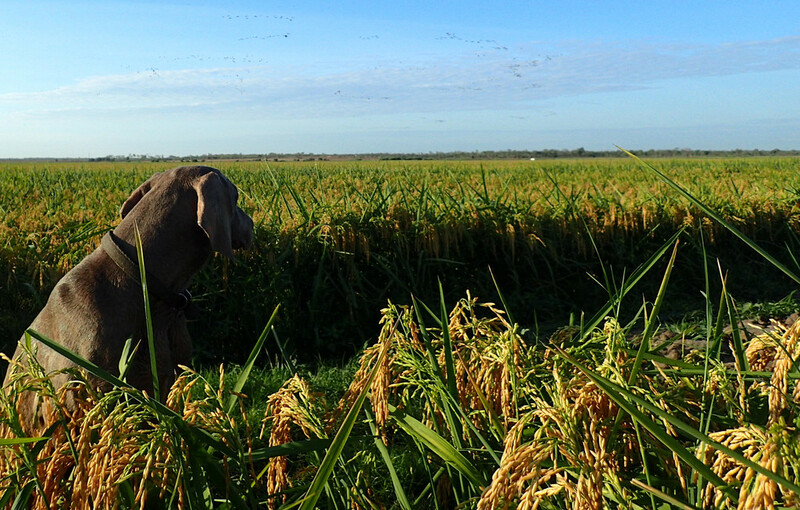 NSW hunters can assist landholders to mitigate the damage caused by ducks to agricultural crops through the NSW Game Bird Management Program. Under this program, hunters who have met certain training and licensing requirements can apply for a game bird licence to be involved in this program. NSW hunters are able to assist NPWS to control certain vertebrate animals on national parks estate through the Supplementary Pest Control (SPC) program. Currently, NPWS is partnering with experienced and skilled volunteer shooters to help reduce pests in 12 national parks and reserves. The NPWS has established a partnership with SSAA NSW for the initial selection and recruitment of volunteers to ensure they are appropriately qualified and skilled. 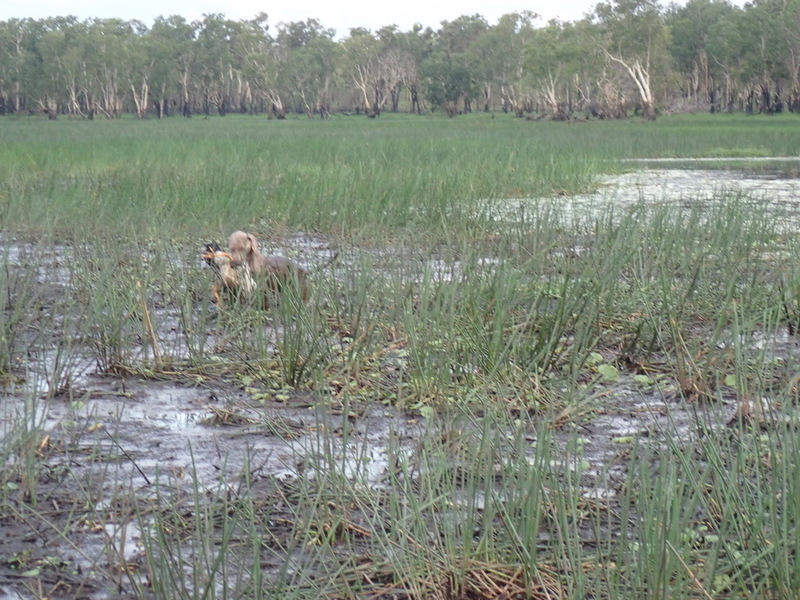 The Northern Territory currently allows the hunting of feral pigs and waterfowl under a permit system. All other classified feral animals can be taken on private land with the landholders’ permission, without a specific permit under the normal conditions of a firearms licence. 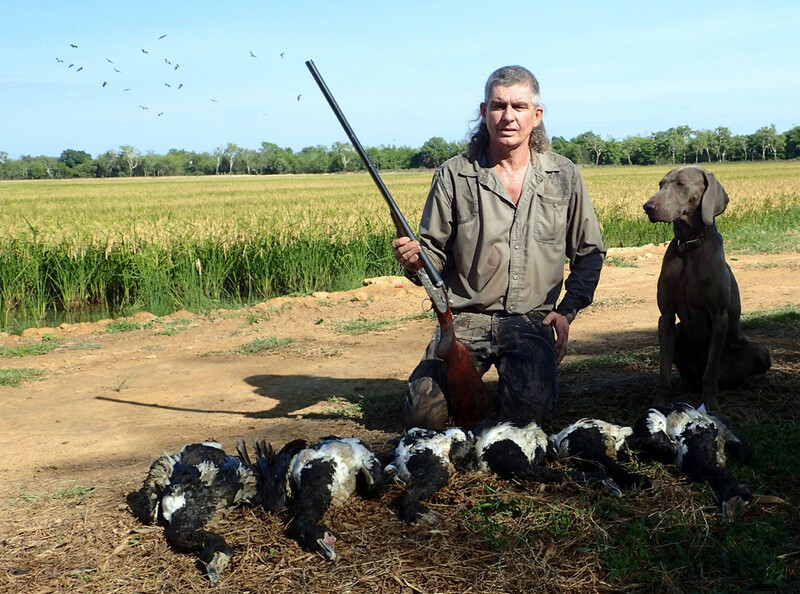 Waterfowl hunting in the Northern Territory is seasonal and is declared by a notice each year in the Government Gazette. Permits to hunt pigs are issued for a period of one year from August 1 to July 31 each year. 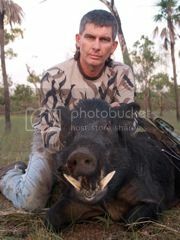 Permits are issued to allow hunting of pigs within the Northern Territory hunting reserves of Shoal Bay and Harrison Dam. Permits to hunt pigs on designated crown land can also be obtained from the Department of Planning and Infrastructure. To hunt on private land or hunting concession, you require only landowner permission. To hunt on Aboriginal Lands, a permit from the respective Land Council and endorsement from the Traditional Owner is required. Hunters can also participate in the Back Country Hunting Program. This initiative is available to Northern Territory residents where hunters must be members of approved hunting organisations, undertake a program accreditation course and have the appropriate permit to participate. All waterfowl hunters are required to obtain a Waterfowl Hunting Permit prior to hunting, whether hunting on or off the Parks and Wildlife Hunting Reserves. The Waterfowl Hunting Permit details the conditions that apply to the annual season, which must be adhered to by hunters. In the Northern Territory, the following duck/geese species can be taken during a declared open season. Maned duck (or wood duck). In the Northern Territory, the following species are classified as feral and can be taken any time. The following animals have been declared pests. For the latest in game licence types, fees and regulations please visit the Department of Natural Resources, Environment, The Arts and Sport website. Hunting is limited to feral animals on private property with landowners’ permission to hunt on the property. Only a current firearms licence is required to hunt on private property. There is no hunting permit or fee applicable. Full licence holders must be 18 years of age and children of at least 11 years can use firearms under a minors licence with adult supervision. Queensland doesn’t have any species currently classified as game that can be taken by recreational hunters during an open season. The following animals are some of the species classified as pests and can be taken any time. In South Australia open seasons under certain conditions permit the hunting of certain species of protected game. A few species of native animals and all species of introduced animals can be hunted with no bag restrictions; however a hunting permit is required before it is permissible to hunt such animals. A hunter must obtain and carry written permission when hunting on private land. South Australia has a permit system in which any person wanting to hunt must hold the appropriately endorsed permit. The ‘Basic’ permit enables a person to hunt all species of introduced animals and a few selected native species. To hunt duck and quail will require an ‘Open Season’ permit (quail and duck plus Basic) for the hunting of protected game. There is currently also an ‘Open Season Quail’ permit available for those not intending to participate in duck hunting. It is a requirement that prior to applying for an Open Season permit (which endorses Duck Hunting) an applicant must have first passed the Waterfowl Identification Test (WIT). Juniors aged between 15 and 18 years old or sub-juniors under the age of 14 years can apply for a hunting permit. In South Australia, the following species are classified as game and can be taken during a declared open season. In South Australia, the following species are classified as feral and can be taken any time on private property with permission from landowners. For the latest in hunting licence types, fees and regulations please visit the Department for Environment and Heritage website. In Tasmania, a Game Licence authorises the taking of game during a declared open season. Pest or feral animals can be taken at any time on both private land, state forest and crown land. Pest animals such as rabbits, hares, foxes and feral domestic animals such as pigs and goats can be taken at any time on crown land, state forest and on private property with the permission of the landholder. Minor firearm permits are available for those under 18 years who cannot apply for a full licence. There are two classes of minor permits, one for minors between 12 and 16 years and the other for minors between 16 and 18 years. Hunting permits are only available to minors who are 16 to 18 years of age. Any persons wishing to take deer, wild duck, muttonbird, wallaby, brown quail or pheasant during the gazetted open seasons in Tasmania will require a licence.These licences are for recreational hunting only within the prescribed open seasons. All persons aged 18 and older who wish to take deer, duck, wallaby, brown quail and pheasant will require a current firearms licence. 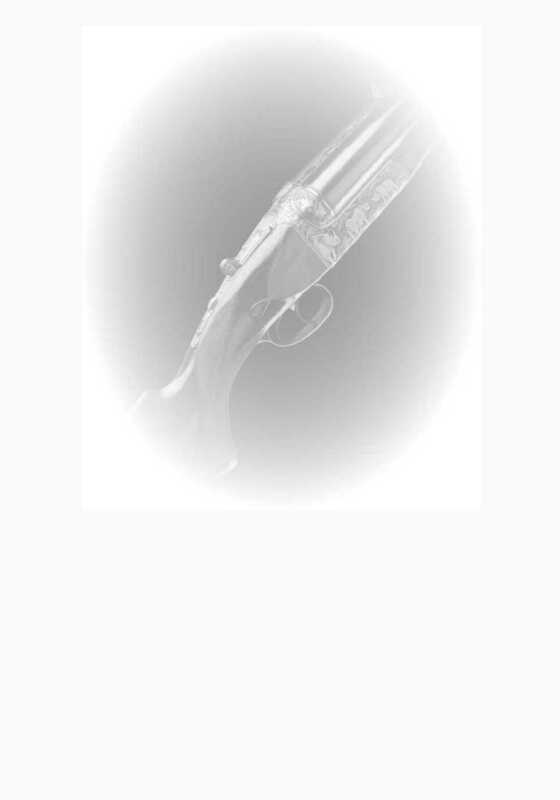 Firearms licences issued from all Australian states or territories are acceptable. For all species types except wallaby, a licence will not be issued unless take details from the previous season have been received and recorded. A letter requesting take details will be sent out in July each year and, as required by Regulation 8 of the Wildlife Regulations 1999. The hunter is requested to complete and return this form to the address shown on the back of the return form by the date indicated. In Tasmania, the following are referred to as a game species and can be taken during a specified open season. In Tasmania, the following are referred to as introduced pest animals and can be taken at any time. For the latest in game licence types, fees and regulations please visit the Department of Primary Industries, Parks, Water and Environment website. In the State of Victoria, a person can currently hunt a variety of game species under a state licence system. All other pest or feral animals can be taken on both state forest and private land with the landholders’ permission, without a specific permit under the normal conditions of a firearms licence. Some species of the game can only be taken during a proclaimed ‘open season’ where there may be a set ‘bag limit’ on that species. A bag limit is normally the limit or total number of the species you can take a day. Victoria has a number of different types of game licences available. Various licences require that the applicant has passed a Hound Hunting Test and/or Waterfowl Identification Test in the case of deer and duck hunting. In Victoria, the following species are generally classified as game and can be taken during a declared open season subject to seasonal variations. Victoria’s Department of Sustainability and Environment has declared the following species to be pest and can be generally hunted any time. For the latest in game licence types, fees and regulations please go to the Department of Sustainability and Environment website. Hunting is limited to taking feral and pest animals on private property with landowner’s permission. Western Australia has a duck hunting open season from January 1 to June 30 every year. The season allows the taking of wood duck and mountain duck on private lands in the South-west Land Division and Eucla Division regions under a mitigation permit system. Only a current firearms licence is required to hunt on private property. There is no hunting permit or fee applicable. A firearms licence cannot be issued to a person under the age of 18 years. The following animals are some of the feral or pest species that can be regularly taken in Western Australia. I would love to go quail hunting. But quail have been scarce in my hunting areas for decades and disappeared locally. Good farming country might have them if I could assess farms in those areas. Perhaps during some of the fox drives this year, some friendly property owner might be sourced. As for ducks, it is really dry here yet again. The local creeks and rivers are all dry, and often stay that way to late winter, ie August, AFTER the close of the season. Some dams often have water and many will have ducks, usually wood ducks and black ducks. A big possible loss for me is many square kilometres of hunting lands I have had for some forty years and my main hunting areas, the property having sold, and very likely the new owners will again be the "no hunting allowed" sort. Will see. First request was an iffy vague answer. We do own a small property in the middle of their blocks, so are neighbours. Used to have fourteen square kilometres of hunting blocks in these hills, but didn't renew the permissions as they weren't needed in the past. Time to go door knocking again and hope to reacquire these properties. The opening of the season in March is always problematic for me as it is also the grape vintage and either possible or completely impossible depending on timing of harvests. However a walk in the hills was always possible or jumping some dams or waterholes. This year the waterholes are all dry. Ducks in Australia can migrate very long distances. And just because they are not here, does not mean they aren't elsewhere. Even in the middle of the deserts where sometimes the lakes and swampy areas are wet. They migrate with the rains. Also in terms of management, less water means less feed, and less feed means a greater die off, so a shooting season may mean less die off wasted anyway. Something the greenies can not understand. Then with a good season they breed up in massive numbers again. Have purchased new replacement decoys to add to my old shabby ones needing some touch up with paint. Need to find where I have put my waders ???? Never needed them at home on the creeks. And one day I must acquire a boat or punt. Then some better reserves would be accessible. I think rejoining the Field & Game Association is in order. Was planning to do so anyway so as to restart sporting clays shooting again. Was never a regular but did partake occaisionally each year a few shoots in the past. Had a shot at it last year with the Naval and Military Club Sporting Guns guys and decided I must do it again. I reckon I have bismuth shot somewhere tucked away still. Lasts me a long time. Thanks for posting that! Very interesting!